I joined American University’s School of Communication as Assistant Professor of applied communication research in 2015. At AU, I am also the deputy director of the Institute on Disability and Public Policy (IDPP). My work explores the impact of digital media on advocacy, activism and political communication. I am interested in studying how both elite and grassroots stakeholders use Internet-based media to influence debates about contested issues and affect policy decisions, including in combination with traditional protest and strategic communication tactics. A large part of my research focuses on the use of Internet-based media by disability rights organizations and grassroots groups. 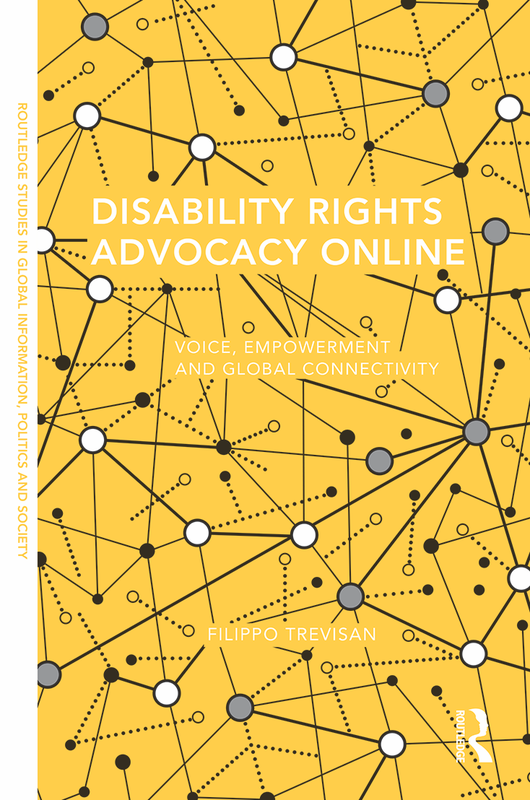 My first book “Disability Rights Advocacy Online: Voice, Empowerment and Global Connectivity” (Routledge, 2016) discusses how a combination of social media activism and acute policy crises revolutionized the disability movement in the UK and the U.S. by fueling the rise of new online self-advocacy networks. Further work in this area includes research on the growing personalization of collective action and how emergent advocacy networks use digital media to crowd-source and disseminate emotional narratives based on personal stories to influence news media coverage and public debate more broadly. I am interested also in comparative media research and have developed innovative methods that employ free Google Trends data to study how voters use search engines to access information during election campaigns. You can find a complete list of my publications here. Before joining AU, I was awarded my PhD in Political Communication and Public Policy from the University of Glasgow in 2013. Prior to this, I completed a degree in International Relations at the University of Trieste (Italy), including visiting periods at the Karls-Ruprecht University in Heidelberg (Germany) and the University of Edinburgh. Between my undergraduate and graduate studies, I worked as a reporter for the English service of AdnKronos, Italy’s largest private news agency based in Rome that produces news in Italian, English and Arabic. When I am not too busy doing academic stuff, I am a keen violin player, enjoy cooking as any (stereo-)typical Italian, and try to learn new languages – some more successfully than others. My latest endeavor is to work on a basic level of Finnish – if anyone has ever been to Finland, they will know that I’m up for a challenge!